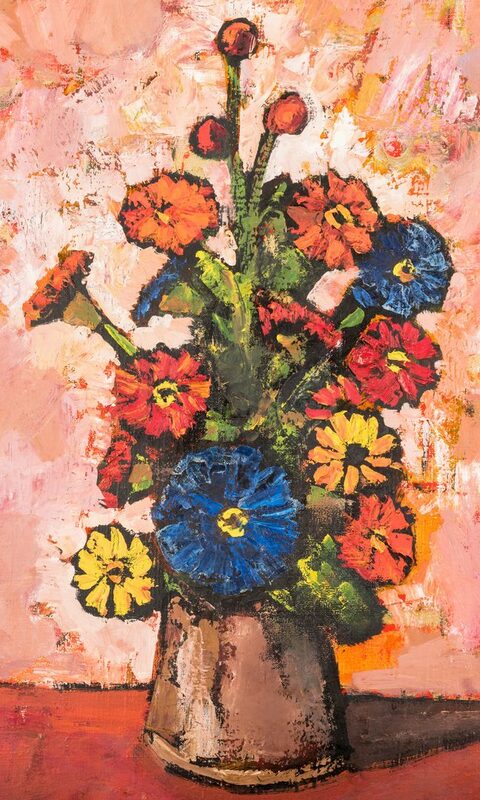 Ryszard Skupin (France/Poland, 1930-2005) oil on canvas still life depicting a vase of multicolored flowers on a red tabletop. 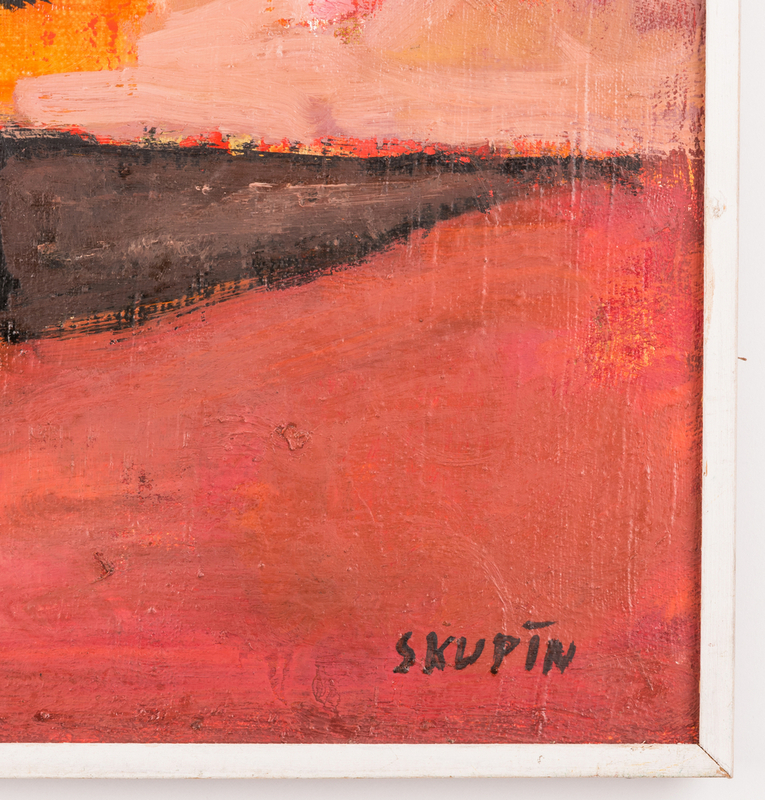 Signed lower right "Skupin." 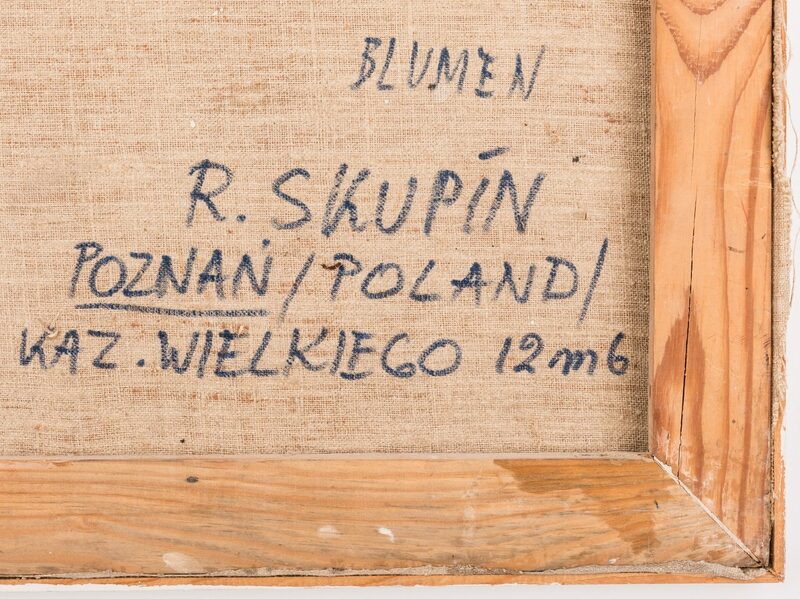 Polish address information en verso. 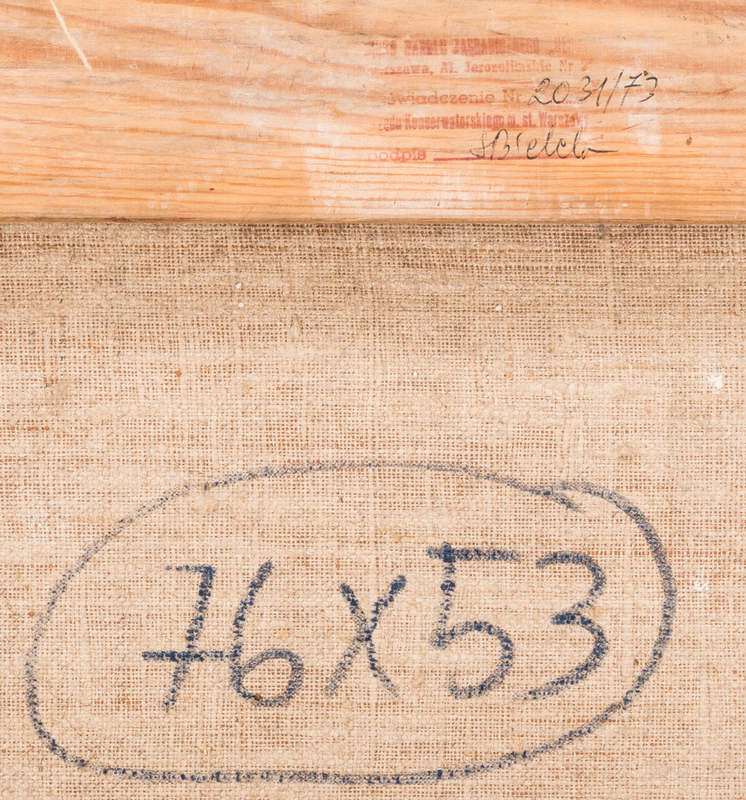 White painted wood frame. 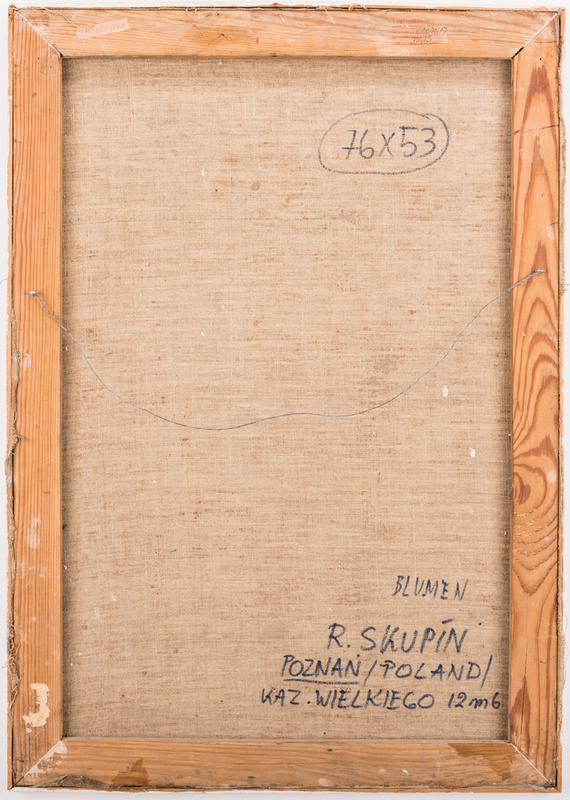 Ryszard Skupin received his diploma at the State College of Fine Arts in Poznan in 1955 and received a scholarship from the French government to study at the Marseilles Academy of fine Arts. He has exhibited in Poland and France and traveled throughout Europe. 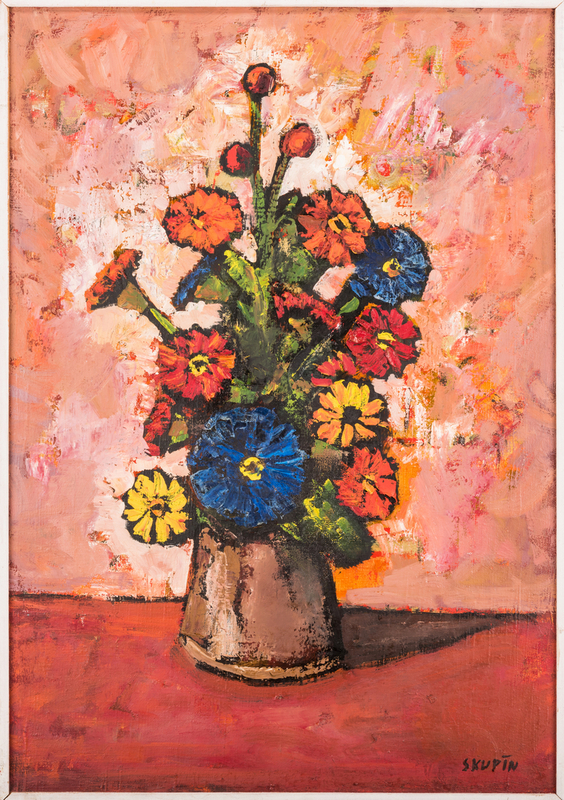 30" x 21" sight, 30 1/2" x 22 1/2" framed. CONDITION: Excellent condition.